When I saw these two pictures on Lonny Magazine website yesterday I knew I had to share it with all of you. Sandberg, a Swedish based interiors company came out with a series of striped wallpapers called Carl for this season. These two are by far the prettiest of them all. 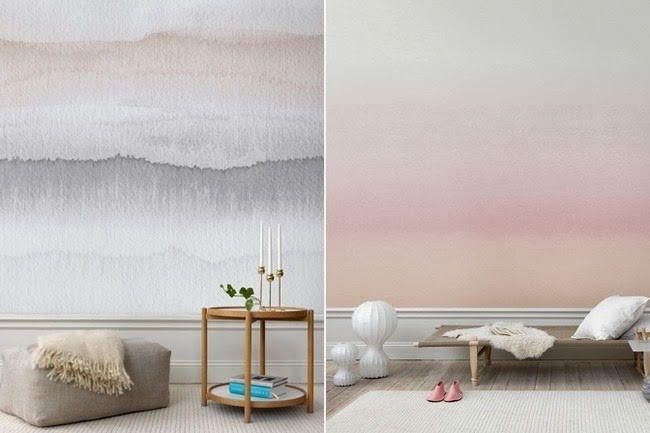 I can definitely see these wallpapers designs in a large space with tall walls. Have a great weekend. Till next time.